A multi-purpose court with a rubberized floor, enclosed walls and inset goals for soccer, futsal, roller hockey, tennis, basketball, volleyball or cricket. Fitness activities are also welcome on this court when it’s available. These same courts and rooms accommodate many other unique and fun activities that Club Sports, Intramurals or other special events hosted by Campus Recreation, such as arena paintball, dodgeball, bags/corn hole, quidditch and others. Campus Recreation can also provide equipment for these activities and many more at our Equipment Issue service counter. All SFC Courts can be used for a variety of activities, but Campus Recreation Department events receive top priority, then all courts follow the priority structure as indicated below. Please ask a staff member if you would like to participate in a different activity and we will try to accommodate you. SFC Court 1 - Primarily used for challenge full-court basketball. (Participants waiting to replace a team on the court). SFC Court 2 - Primarily used for challenge volleyball (Participants waiting to replace a team on the court). SFC Court 3 - Primarily used for badminton, then half-court basketball, volleyball or other approved activities. SFC Court 4 - See chart below - Space can accommodate soccer, hockey, tennis, basketball and other activities. 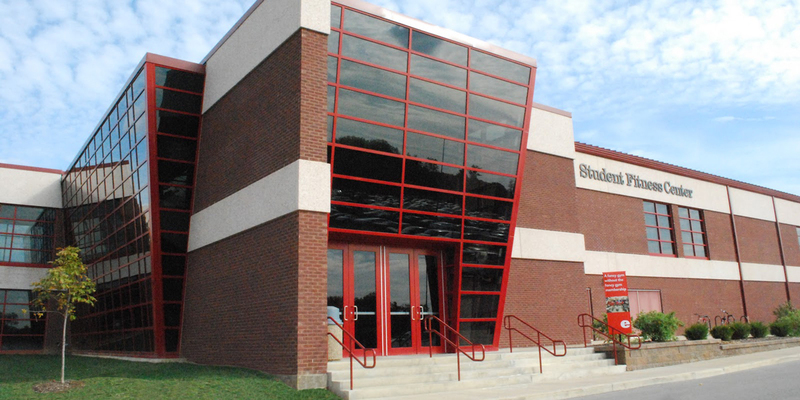 SFC Activity Center A & B - Campus Recreation Intramural Sports and Club Sports will be prioritized along with other group reservations/rentals. 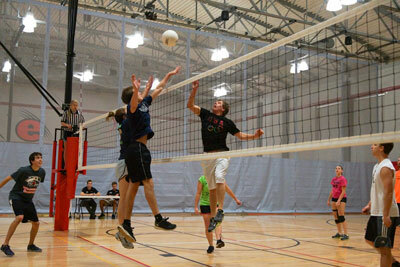 Drop in recreation is welcomed for basketball, volleyball and badminton when the space is open. *Court 4 can be reserved at Equipment Issue for one hour per group/activity by calling or visiting the Equipment Issue service counter no more than 48 hours in advance. Reservations for the play-by-reservation for tennis, roller hockey and/or soccer must be made by calling or stopping by the Equipment Issue counter; or phone (618)650-2370. Reservations may only be made for one hour per person/group per day and are only made on the hour, for example 9 a.m.-10 a.m. Reservations not claimed within 10 minutes of the scheduled time will be forfeited and that time may be used for drop-in play until the top of the hour or until the next scheduled reservation. Drop-in play will switch on the hour if a group is waiting and/or has a reservation. If no group is waiting and there is not a reservation after an hour is up, the original group may continue to play until another group arrives or a different reservation exists on the hour. All challenge and drop-in play will be done in a manner fair to all wishing to participate.